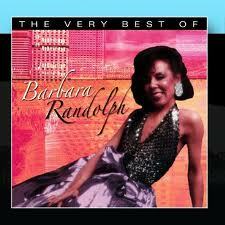 Barbara Randolph (may 5th 1942 – july 15th 2002) Barbara was a member of The Platters in 1964. During the mid to late 60 ties she recorded for Motown. Was briefly considered as a possible replacement for "Supreme" Florence Ballard in 1967, but Diana Ross nixed the idea. 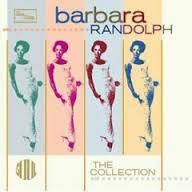 Barbara went on to record solo and released a single of Holland-Dozier-Holland's I Got a Feeling in 1968. 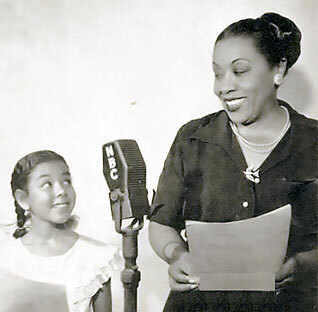 She also recorded her own version of Marvin Gaye's Can I Get a Witness. Left Motown in the early 70s and cut tracks for other labels. Made a mini-comeback in England years later. Briefly toured with Marvin Gaye when his steady partner, the late Tammi Terrell, fell ill.
Barbara was so tall, elegant, and fabulous, full of charm and poise and grace. She was married to Eddie Singleton, former A&R executive at Motown in the 1960s. Eddie's first wife had been Berry Gordy's ex-wife, Raynoma Gordy, also known as Miss Ray, who ran off with Eddie and together they formed Shrine Records, which, supposedly, got blacklisted by every radio station in the USA, out of their loyalty to Motown. Eddie married Barbara, but had the amazing situation of Raynoma still living in their house. 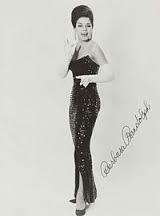 Barbara's biggest Motown claassic was "I Got A Feeling", a true anthem, and in fact only recently, Motown put out an entire CD of her work there, including many unreleased recordings. Her version of "Baby Don't You Do It" has to be heard to be believed. After Motown, she acted in a couple of films, recorded for Eddie's label Tarca, and then signed to Motorcity, where we did an entire album called "Breaking Into My Heart". This song, "Mister Wonderful", was written by Sylvia Moy , about her love for Eddie, and indeed she sings it straight to him as she records it, captured on this amazing video for posterity. Years later, she suddenly and without warning left Eddie, and told him she'd fallen out of love with him, something he couldn't come to terms with, so he moved to South Africa. It transpired that she knew she was wasting away from Cancer, and didn't want him to see her die slowly, so she left him, and lied to him, just to spare him the agony, and he only found this out after her death. Knowing this tragedy makes this video so poignant, and knowing how deeply they loved each other really brought tears to my eyes. She was lovely, and is much missed.